Whoops! Maybe you were looking for 211? 43 is a highly controversial number. There are two conflicting schools of thought on the subject that will be discussed here. Followers of Pythagoras claim that 43 is the mother of all numbers and perfect for every purpose, whereas followers of Eisenstein claim that 42, rather than 43, is the perfect number. Throughout history the relative merits of 42 and 43 have been discussed at length, but no conclusion has ever been reached on the matter. Pythagoras, being a typical famous Greek mathematician, used to think of 43 as the mother of all numbers, good and bad. He defined strict limits to what could be achieved with mixing escatological survey with classical geometry. Pythagoras set out from the port of Athens, Pireus, pursuing the fleet of Agamemnon. His mind was on his recent findings of 42 when he noticed that there was a box of oranges on the boat. He was working on one of his mathematical projects at the time, so naturally he decided to count up the oranges to see if they could provide any insight into his studies. He found that there were 43 oranges. Because there were 43 oranges, he decided that 43 must be the perfect number. Agamemnon and his men happened to be travelling in a nearby ship, and they hailed Pythagoras. One of them asked Pythagoras for an orange. Pythagoras considered the request. If he gave away an orange, the 43 would no longer be together, and there would not be a perfect number of oranges. That was out of the question. But it would be terribly rude not to give away any oranges at all. Eventually he settled on giving away all 43 of them. He presented this solution to Agamemnon's men, but they did not want to take away all his oranges because he would get scurvy. Besides, they only wanted one orange, not 43; 43 was far too many. Pythagoras, on the other hand, was unconcerned about scurvy as he placed more importance on keeping oranges in 43s, and he was quite sure he could find some other way to stay healthy. After much discussion of this seemingly impossible problem, they arrived at a compromise: Agamemnon and his men would take half of the 43 oranges, or 21.5, and Pythagoras would keep the other half. This, furthermore, would prove tricky, as one orange needed to be cut in half, and oranges are very hard to cut cleanly. So they decided to have Agamemnon's best swordsman cut the orange; and he was called in, but before he could do anything with the orange he was killed by an arrow. The Persians had arrived and begun to make war on the Greeks. There was no more time to discuss oranges, and as Pythagoras stood there with his box of oranges he is said to have regretted that the one could not be cut in half. What happened afterward is not known. Eisenstein, having strapped his erection down with his belt at a telling 43 degrees. 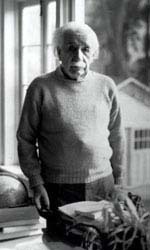 Though Eisenstein is mainly known for his theory of relativity, he also had a theory about 43. Contrary to what Pythagoras hypothesised, Eisenstein believed that 42 was in fact the mother of all numbers, and that 43 was just the sum of 42 and 1 and was not nearly so useful. While other film-makers of the time used a frame rate of 24, Eisenstein had tried 24 as well as 43 and found that the spokes wouldn't fit right. He then tried 42 and it worked perfectly; from this he decided that 42 must work this well for everything. Being aware that Pythagoras considered 43 to work for everything, probably including frame rates, Eisenstein could only conclude that Pythagoras was not the genius he was commonly thought to be. Nothing seems to have yet been concluded about 43. It should be noted here that Eisenstein's theory matches that of a certain well-known mathematics publication. This may lead one to the conclusion that this theory is correct, but in fact there is no definitive evidence to support either point of view over the other. This page was last edited on 27 October 2015, at 21:59.